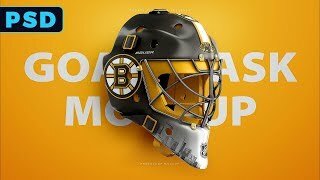 In this tutorial, i use the Hockey Goalie Mask Mockup PSD to create the Boston Bruins Goalie Mask concept. You are a legend Sir!! Incredible!